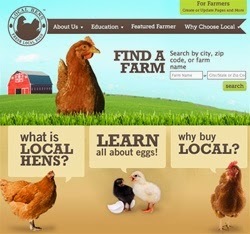 How to organize a fabulous Farmgirl Sisterhood Chapter in your community. 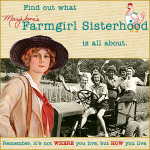 If you're a farm girl at heart, you've probably discovered MaryJane's Farmgirl Connection, a wonderful on-line community where you can chat and connect with other farm girls, no matter where you live. I happily stumbled on to this site a while back and fell in love! It wasn't long after I found this amazing beehive of farm girls, that I made my next happy discovery: The Farmgirl Sisterhood. 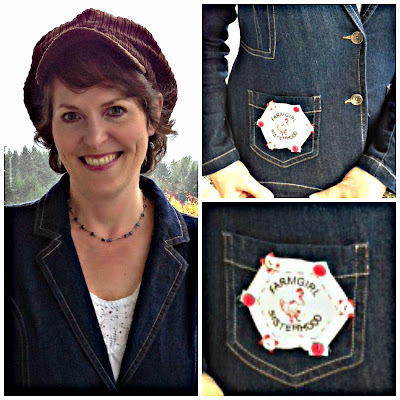 A bit like Girl Scouts for women, the Sisterhood offers a whole program of projects you can do, for which you can earn Merit Badges--fun hexagon shaped fabric patches you embroider and collect on a tote, apron, jean jacket, or something. How fun! Right away, I signed up. Farmgirl Sister #5290, that's me! Then, not long after joining the Sisterhood, I wished to connect face-to-face with like-minded girls in my own community. That's where the local Farmgirl Sisterhood Chapter comes in. There's two ways you can join a Chapter: Find and join an existing one, or start one of your own. I chose to start one. We call ourselves the Fearless Farm Girls. Signing up to start a Chapter is easy. Knowing what to do in your Chapter is where it gets interesting. They leave it up to you to do what you want. You can get as creative as you like, design things in a way that work for you and the members of your group. But where do you begin? How do you get a group of girls to want to meet? What should you do in your meetings? In other words: What's the best way to get organized? I'm sure there are many successful Chapters out there, with plenty of good ideas for starting up a local gathering of Sisters, but here's what the Fearless Farm Girls did. When I signed up to start a Chapter, I felt unsure. It was just little ol' me not knowing what to do next. But soon, through the Sisterhood website, a fellow farm girl contacted me and expressed interest in joining the Chapter I'd registered. (Gulp--I was not feeling fearless!). We exchanged emails a few times until I asked my farm girl sister if she wanted to help me get this Chapter up and running. (There's nothing like a friend cheering you on, right?) She said yes (yay!) and now we've become good friends--one of the many blessings that come of this thing called a Sisterhood. We decided to create meeting binders. The first six binders were prepared ahead and presented at the first meeting (free of charge, of course) to the girls who came (six girls exactly, whew!). Having the binders ready made it easy to explain "the program." Plus, who wouldn't get excited about the pages of scrapbook stuff included in the Project Journal section? I know what you're thinking: You must be crazy! You're going to make a binder for every girl that joins your Chapter? The answer is yes, but it's not so hard when you think team-work, girls. Team-work is a totally farm-girlish principle. Here's what we did. Shortly after our first meeting, the first six members of our Chapter gathered for an event we called "Binding Together." We hung out, ate homemade pizza, and gabbed while we each made one binder for a future member. Now we can double in size, no problem. See? Team-work is the way to git 'er done! So, what do you think? Would you like to make binders for your Chapter too? Well, you're in luck! I'm going to help you do just that. The chart below lists everything we put into the eight sections of our binders. On the left side of the chart, you'll find the divider title, and on the right you'll find a link or information on what we included in that section. You can use exactly what's provided here, or feel free to alter any of our Word docs once you download them. Click for: Sister Contact Information pages for binder. In our Chapter, we update our Sister Contact chart as new members join. With each girl's name, we include information about each person's interests. This helps the group members know who to pair up with when working on a particular Merit project. 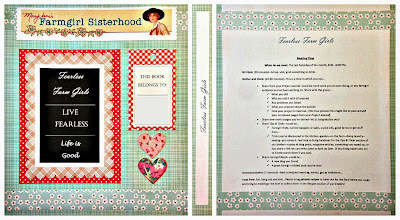 Click for: Farmgirl Reads pages for binder. We use these pages to record the titles of farm girl related books, blogs, or magazines the girls have read and want to share with the group. I think this is everyone's favorite section. 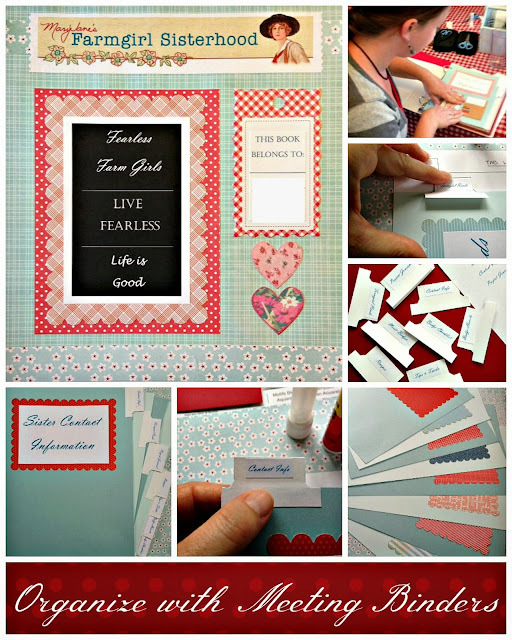 Here, we included several clear sheet protectors filled with fun scrapbook materials. (We color coordinated these with the color scheme of the binder cover). This is where you can have a lot of creative fun. The girls can use these pages to journal and place photos and memorabilia. These become pages we can share with the group in meetings, showing Merit Badge activities we've worked on in the past month. We'll provide more pages to the girls with more scrapbook materials as they use up what originally came in their binders. Click for: Tips & Tricks pages for binder. We use the Tips & Tricks pages to record links shared in the meetings. Girls can also bring printed articles, or write-ups of instructions for any tip having to do with the kitchen, garden, laundry, cleaning, crafting, you name it. These can be collected, 3-hole punched, and kept in this section. We have the girls bring printed recipes for any food item they make and share with the group at meetings or events. These can be collected and kept in this section. 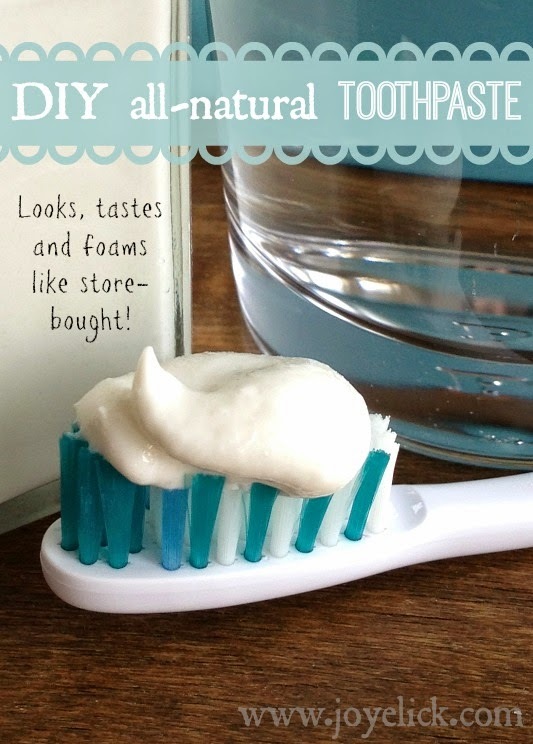 Click for: Merit Badge How-to. Just print the info from the MJK Sisterhood website and place in this section of the binder. Click for: Merit Badge Checklist pdf. Just print the checklist from the MJK Sisterhood website and place in this section of the binder. Click for: The Merit Badge projects pdf. 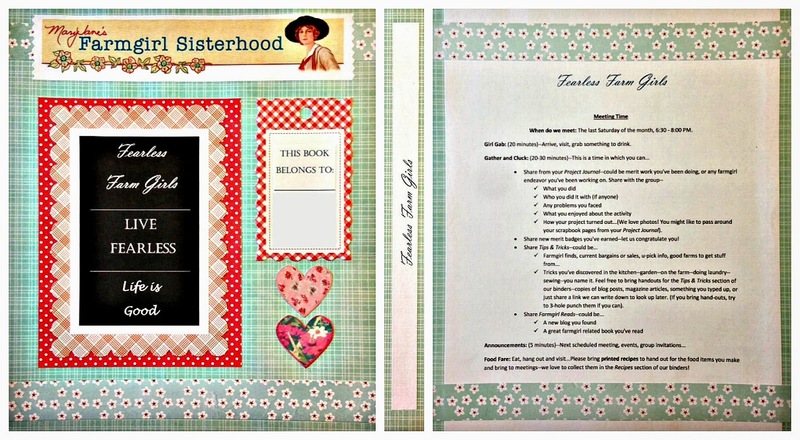 Just print the pages from the MJK Sisterhood website and place them in this section of the binder. 1) MaryJane's Farmgirl Sisterhood header from the official website. 2) Vintage chalkboard pic where you can place your own Chapter name and motto. Click for: Sisterhood header to put on binder cover. Print the page, cut out the header, and paste it on the binder cover as shown in the layout below. Click for: Vintage Chalkboard image to place your Chapter name and motto on front cover. "How to make your own DIVIDERS..."--a how-to tutorial. Click for: A tutorial on how to make your own cute notebook dividers. Click for: Divider Tab Template. Click for: Tab Locator Sheet. Divider titles to cut and paste onto your homemade notebook dividers. (We pasted these on ruffle-edged 4.5 X 6.5 die cut scrapbook paper and then pasted these to the card-stock dividers). Divider tab labels to cut and paste on the tabs you make. Click for: Divider Tab Labels. (You'll find labels for the 8 sections as described above). Meeting Time Snapshot for back cover of the binder. Click for: Meeting Time Snapshot for back cover. (Feel free to alter this word doc to suit your needs). 1. (1) 1-1/2 inch white binder with clearview cover (Avery is a good brand, and the shiny clear plastic looks better than the frosty plastic). 2. (8) pieces of 8.5 X 11 card-stock in the color(s) of your choice. 3. (8) pieces of 4.5 X 6.5 ruffle-edged, die-cut scrapbook paper to mount the divider titles on. 4. (4) pieces of 4.5 X 6.5 card-stock in the color(s) of your choice for the divider tabs. 5. (1) white legal pad to slide into the pocket inside the back cover, used for note taking during meetings. 6. (2) sheets of 12 X 12 scrapbook paper for front and back cover, and spine. (You can paste the name of your Chapter on the piece that slips into the spine). Also, for the cover, you'll need a couple other pieces of complimentary scrapbook paper, a label tag of some sort where the person's name can go, and something cute to go beneath the label (see layout below). 7. Several glue sticks (Avery makes a good one that's acid free and photo safe and also adheres well). 8. A good paper cutter, because you'll use it a ton! spine and back cover looks like. (We meet: The last Saturday of the month from 6:30 to 8:00 PM). Girl Gab: (20 minutes)--Arrive, visit, grab something to drink. ü How your project turned out...(We love photos! You might like to pass around your scrapbook pages from the Project Journal section of your binder). · Share new merit badges you've earned--let us congratulate you! ü Tricks you've discovered in the kitchen--garden--on the farm--doing laundry--sewing--you name it. Feel free to bring handouts for the Tips & Tricks section of our binders--something you typed up, or just share a link we can write down to look up later. (If you bring hand-outs, try to 3-hole punch them if you can). Food Fare: Eat, hang out and visit...Please bring printed recipes to hand out for the food items you make and bring to meetings--we love to collect them in the Recipes section of our binders! So, that's how our meetings go. It works good to have this on the back cover of our binders, because everyone has it front of them when we meet. It helps keep our meetings on track. Starting a Farmgirl Sisterhood Chapter can be a super rewarding experience. Maybe you've been thinking of doing it, but haven't known where to start (like how I felt in the beginning). I hope sharing this information has been helpful to you, or at least sparked some ideas of your own. Whether you're thinking of starting up a local Chapter, or you already lead or belong to one, I'd love to hear from you in the comments below. This is just downright amazing, adorable, over-the-top farmgirl!!!! Love your talent for artful organization. Kudos! Let us know if there is anything we can do to help you out with your chapter. Thank you so much, MaryJane :-) We're having so much fun! Love the Sisterhood. Great article, Joy! You have an amazing eye for style! Wow! Your blog is amazing and I am so excited to have found it. Eye candy and inspirations galore :) Oh, and I love the tribute post to your grandmother, very sweet and wonderful photos. I am your newest follower and if you have the time please come visit. If you like what you see, then I would love to invite you to follow me back. Thank you, Connie :-) I did visit your blogs and I signed up to follow. It looks like you're quite the crafter! Thanks for taking the time to look around on my blog. You have totally inspired me to make binders for my daughter and I! I am a brand new member and I got my daughter a membership for Christmas. She just moved to Cincinnati and is about 3 1/2 hours from her family and I being a Farm Girl Sister is giving her something to occupy her alone time. I am thinking of starting a chapter too, but like you had no idea where to begin and certainly didn't feel qualified. I think I may just have the courage to try it! Thanks a bunch for sharing! I love your idea to do this as a Christmas gift! I hope you do start a chapter. I checked out your blog and website (I signed up to follow your blog), and I think you must be very "qualified" to start a chapter. You just bring to it what you know and look forward to learning what you can from others. Good luck! I did it! I am now a Chapter Leader! The Faithful Farm Girls are officially a Chapter in Swanton, OH! Our motto is For God and Country and Be Blessed! Thank you Melody for the confidence and inspiration! Mary Jo, that's wonderful! I'm so excited for you. Please keep me posted on how it goes. I'm sure you'll do great! Thank you for sharing. I just posted pics of the new binders in the chat room and boy did they turn out cute! I am so glad I tried it! I am a quilter normally, and scrap booking always intimidated me. Thanks again for the ideas! I am probably going to start a new one for the chapter, but for now this is the one I am on most often. Wow! Mary Jo, I checked out your binders. Nice job! Your chapter will love having everything in one place. The girls in my chapter adore them! The timing is perfect, that I found this today :) I am working on getting myself re-organized and my farmgirl chapter is at the top of the list. I can't wait to start on this project. Melody Joy, would love to see a picture and comments about the Fearless Farm Girls. If I get down your way I might want to join in. Thanks for the comment. I'll get some pics up soon. Not sure if it will be blog post, or if they'll appear on our Fearless Farm Girls page (see link at top of Home Page under "Pages"). Either way, though, I'll get some up, okay? This is so amazing! Makes me wonder about doing something like this.... Sister #4393. I hope you're inspired! The girls in my chapter have enjoyed their binders. We've used them now for over a year. It's nice to have all the merit badge info right there, and places to keep recipes and such that we share. Thanks for commenting. When trying to print the black chalkboard... the writing would be printed below the black not on the black. What am I doing wrong? Hi Julie, I'm not sure what you are doing wrong if anything. If you like, you can use the contact form on my blog located at the very bottom right of the page under "how may we help you." Tell me what you want the lable to say and I will try to make it up and send it to you via email. Would that help you? Hello I am new to the sisterhood but I would love to start a chapter in East Tn. This is such a great idea , I love it. Thanks.